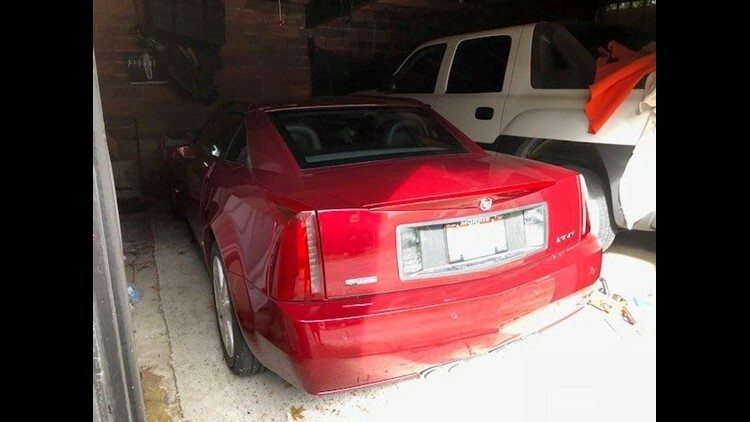 Cleveland resident Peter Pyros spent 14 hours trapped in his Cadillac XLR. DETROIT — Peter Pyros has survived cancer, a stroke and nine surgeries. Yet his most challenging and terrifying ordeal, he said, occurred in his own car parked inside his Cleveland, Ohio, garage late last month. Pyros, 75, was trapped inside his 2006 Cadillac XLR roadster when the car failed to start, shutting down its electrical system and locking him inside. Over the next 14 hours, Pyros said he passed out twice and experienced despair and heat exhaustion before he was finally rescued from his car. 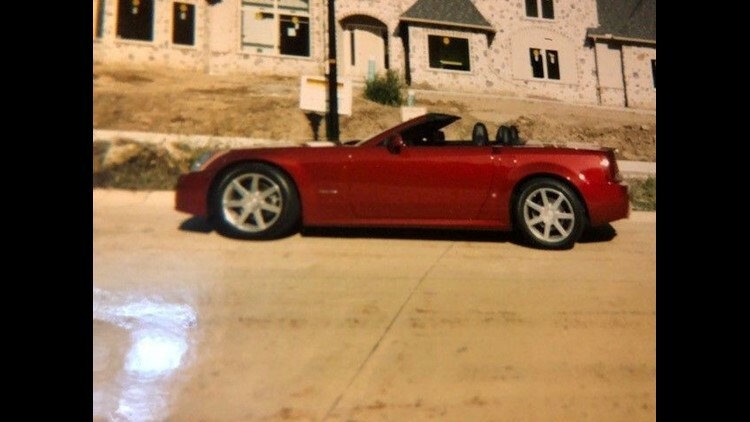 On the morning of Friday, Aug. 31, Pyros decided to give his beloved burgundy 2006 convertible Cadillac XLR a spin before the weather turns too inclement to enjoy having the top down. "I had started the car a couple weeks earlier and backed it out, then I put it back in the garage," said Pyros. "I was going to do the same thing, but then go for a little ride." Pyros got in, shut the door and hit the push-start button. Silence. He tried putting the key fob into a slot to start it, but still nothing. He had two new key-fob batteries in the center console, so he replaced the battery with each. Still, the engine was silent. The car, which has only about 12,000 miles on it, has buttons instead of door handles, so with the engine dead and the electrical system not working, the doors and windows did not budge. Even the horn did not work, he said. Electricity is required to take the hard-top convertible cover down. "It was getting really hot and it was difficult to breathe — this was all within a half hour," Pyros said. "I was trying to find something to get me out of the car. Nothing worked. I started to scream as loud as I could." Pyros lives alone. At 10 a.m. that day, his neighbors were at work. He tried punching and kicking out the window, but he couldn't break it. "I tried pounding on the window thinking someone would hear me," Pyros said. "That didn’t work either." Critics say that what happened to Pyros can occur too easily in late-model cars. "Too many of the automakers shortchange the technology in the vehicle in that there should be fail-safe electrical backup just as there is for the air bag system," said Byron Bloch, a court-qualified auto safety expert based in Potomac, Maryland. 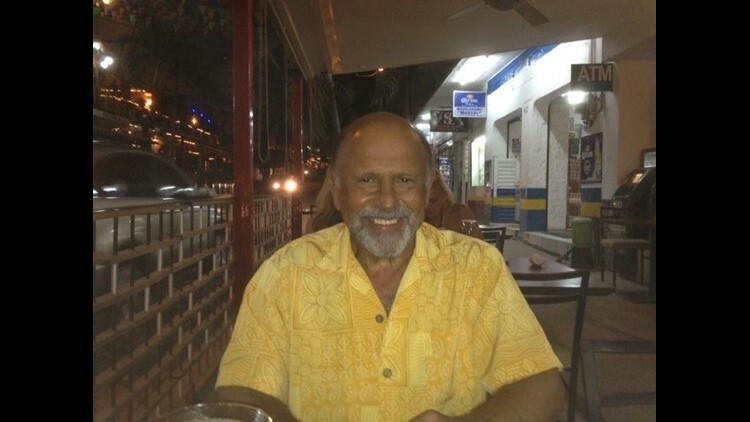 Bloch has consulted on and testified in hundreds of auto safety cases over a 40-year career, including on a similar case in 2015 when a Texas man became entrapped in his Corvette and died. It's a risk most people don't consider when they get in their car. “You should be worried because unless you can check in your owner’s manual to determine if you have an energy reserve power system. You could not only be entrapped, but if it’s a hot summer day and you have a child in there with you, you’d be powerless to save your child when the car reaches 120 or 130 degrees," Bloch said. Pyros' Cadillac has a manual door release on the floor, but he didn't know that and his owner's manual was in the house. The owner's manual describes how to unlock a 2006 Cadillac XLR during loss of electrical power. According to AccuWeather, the outside temperature that day in Cleveland hit a high of 77 degrees. Inside the cramped car in his muggy garage, Pyros said it was well over 100 degrees. He sweated so much that the car interior is stained with what resembles road salt from his dried sweat, he said. "I came to the conclusion that I was going to die," said Pyros. "I was at peace with it. I asked God to help me twice, then I said, 'OK, God if this is the way I’m supposed to die, I will die.' "
When darkness came, Pyros said he tried one more time, pressing his face to the window, screaming his neighbor's name and "help." The garage where Peter Pyros was trapped for 14 hours in his Cadillac XLR. Around 11:20 p.m., he looked up and saw his neighbor entering the garage. Earlier, that neighbor had noticed Pyros' garage door open and called Pyros to tell him. Pyros had left his cell phone in the house. When Pyros did not return the neighbor's call, the neighbor went over to tell Pyros. That's when the neighbor heard muffled pounding and his name, Pyros said. “Something told him, I think it was God, not to go to bed that night," Pyros said. "And around 11 or 11:30, he came over and he saved my life." Pyros' all-electric car could not be opened using the fire department's usual crowbars, so a fireman instructed Pyros to pop the hood, he said. Then, rescuers jumped-started the engine, opened the doors and freed Pyros. He spent the night in the hospital recovering. Days later, he found in the owner's manual the directions to a mechanical door release handle on the floor next to each seat. That brief instruction in the vast owner's manual is unacceptable to Pyros' lawyers who are investigating the case and, "Looking at all avenues of litigation. We are in touch with other attorneys who have pursued similar actions against General Motors," said John Meros, partner at Schulman, Schulman and Meros in Cleveland. Meros said his firm is working with another Cleveland law firm, Friedman, Domiano, and Smith on the incident. "Automakers must have recognized that with all-electric features and the power failing, you’re locked inside your car," said Meros. "Why not put a warning sticker on the visor or dashboard that says if the power fails and in the event of entrapment, there is an escape lever on the floor?" A GM spokesman said any vehicles could lose electrical power and that risk can increase as a vehicle ages. He said GM provides ways to manually unlock doors in that event. 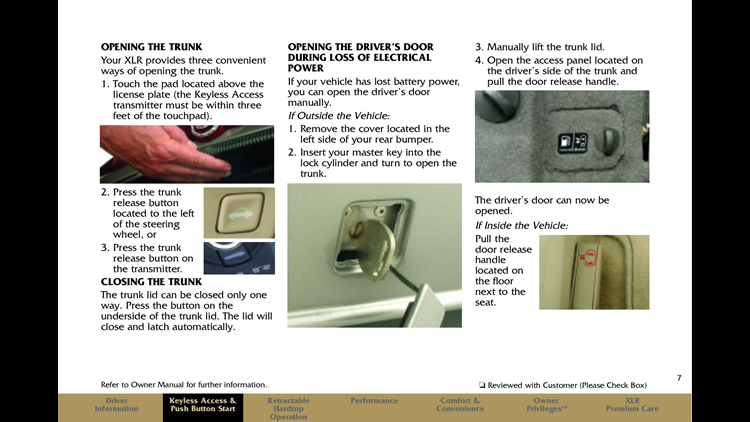 "Because this varies by make and model, drivers should review the door lock section of their owner’s manual, and follow up with their dealer or customer assistance center if they have any questions," GM spokesman Tom Wilkinson wrote in an email to the Free Press. Wilkinson said on most vehicles, the driver can simply pull the inside door handle, adding, "Some like the Corvette continue to have a clearly marked door release handle." This is not the first incident of vehicle entrapment. In 2015, a 72-year-old man and his dog died of heat exhaustion after they were unable to get out of his locked Corvette in a Waffle House parking lot in Port Arthur, Texas. Police believe that when James Rogers got into the vehicle, a cable became loose and cut off the power to operate the horn and locks. Rogers did not know how to manually unlock the vehicle and became trapped inside. Meros and Bloch said General Motors reached a confidential settlement in that case last year. In 2014, a New Zealand couple in their 60s spent 13 hours trapped in their keyless Mazda 3 hatchback when they forgot to bring the electric key opener with them and the doors automatically locked. The owner’s manual was in the house so they couldn’t find a manual override and became convinced they were trapped. The couple was rescued. Most people are not studying or reading these owner's manuals and, "If there is an escape latch they are not displayed prominently in the manual," said Meros. "There is no warning sticker in the vehicle either." Safety expert Bloch recommends all automakers install a "fail-safe electrical backup" system for the electrical system similar to what they have for air bags. In the current case, if the engine loses power, the air bag still has reserve energy to ensure it will inflate. Yet, said Bloch, GM and some others automakers do not have a backup power reserve for the doors and windows. GM's Wilkinson said only, "GM’s mechanical door releases provide a reliable backup in the event of a power failure." As to which specific automakers offer a power backup, Bloch did not have a full list. In most cases, a car's handles should override a failure of the electronic system to let the occupant out. Still, he said, "All vehicles with the electronic doors need to have the electric reserve system." Bloch said car owners can ensure their safety by making sure they and family members who use the car know where the emergency manual door release handles are located. Next, he said, go through the owner manual and find out whether there’s a reserve system for the electrical system. If not, your vehicle is "less safe than those" that have one, he said. Finally, check the key fob battery every two to three years. "Car companies like to say, 'We put it in the owner's manual and if you were stupid enough to not read it, it’s your fault,' " Bloch said. But he said even dealership sales' staff can't recite the vast information contained in an owner's manual. "Just putting a line in the owners manual, that’s not fair to the purchaser of the vehicle," Bloch said. "It’s truly life and death." Indeed, Pyros' life has permanently changed since his ordeal, he said. "I’m having a hard time. I wake up and think I’m in the car. I cry now when I say my prayers because I don’t know why I was so lucky to live," Pyros said. “I wouldn’t want my worst enemy to go through one thousandth of what I went through. You can’t describe it … you’re dying, you’re dying."